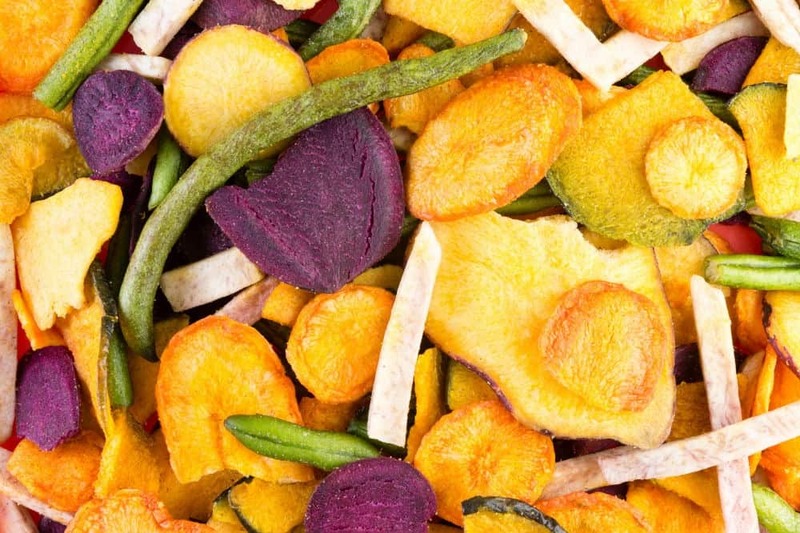 In terms of nutritional value and convenience, dehydrated food is good for your health. This is specifically true for homemade dehydrated food items. Unlike other food preservation methods, dehydration helps seal in more minerals and vitamins. In fact, according to studies, the antioxidant levels of fruits such as grapes, plums, and cranberries tend to double once they are dehydrated. 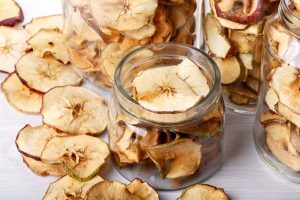 You can also dehydrate seasonal produce like chard, cauliflower, and apples. Health experts suggest drying foods on your own instead of purchasing them at the grocery store. This is primarily because of the added oil-content used to process products, especially dried snacks. Others also note that due to the lesser water content, dried goods can’t fill you up. They are however great as snacks or on-the-go food when you travel. Food dehydration is used in so many parts of the world, most especially because it’s very simple to do. Regardless if you backpack or not, there are so many benefits you can get from drying food. Nutritious Seasonal Produce All Year Round. You can keep as much as local produce as you like without worrying about spoilage. In removing the water and moisture content of the fresh food products like veggies and fruits you can preserve them by at most six months. More Savings. Store-bought dried goodies are sold at a higher price because of all the food additives that manufacturers use to further extend their shelf life. If you choose to dry food on your own, you can save more money plus enjoy more nutrients and minerals. Hassle-free Storage of Products. Dried products are lighter and smaller in size compared to fresh ones. Hence, you can easily store dehydrated products in glass or plastic containers. You can place the containers anywhere in your kitchen. This also means that you can bring bags of dried goodies on your trail adventures. 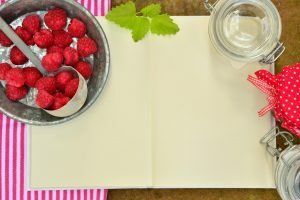 Easy Food Preservation Method. 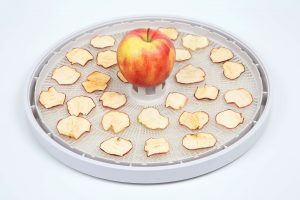 Compared to the other forms of food preservation, drying is the simplest method. 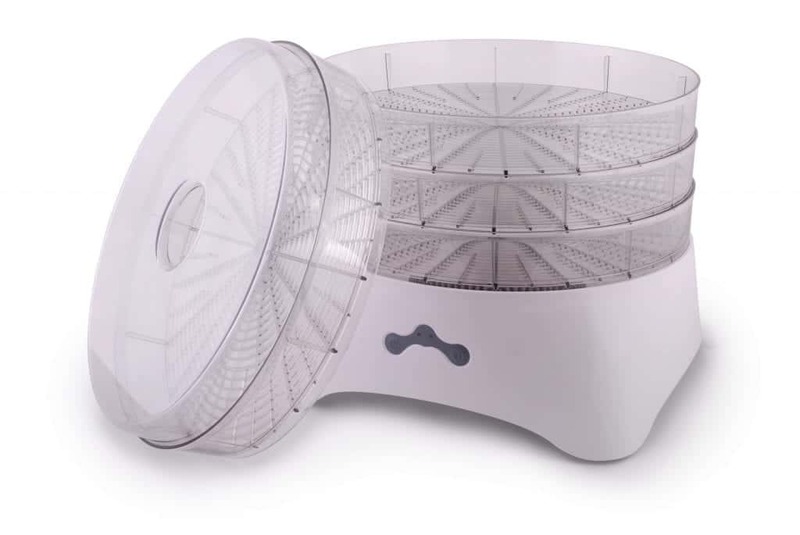 You can either dry the products under the sun or specialized equipment such as food dehydrator. 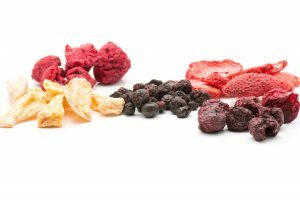 “Is dehydrated food good for you?”, When asking this question, you must consider which type of product is being referred to. 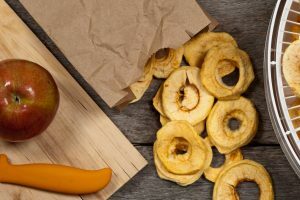 Naturally, health and fitness gurus advise against consuming too much commercially-produced dehydrated products such as those packets of dried fruits you find at the grocery stores. Store-bought dried food often contains added preservatives like oil and sugar. In addition, it’s better to consume homemade dehydrated food products because you get to pick the items yourself. This means you’re guaranteed of the freshness of the ingredients unlike when you buy packed products. If you plan to dry food on your own, you should ensure the cleanliness of the equipment you will use. You must also wash your hands properly to prevent contaminating the ingredients. 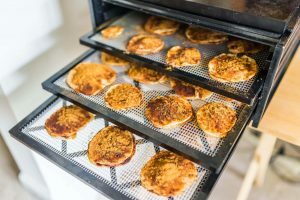 The best part about food dehydration is that you can choose from various drying methods, depending on the available equipment and resources. 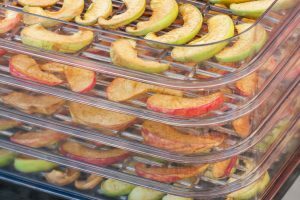 The basic things you need to successfully dehydrate food are dry air, consistent air movement, and heat source. You can either dry the ingredients in an oven or food dehydrator or under the sun. Fruits and vegetables are the most common type of food items that are dehydrated. But, you can also dry chicken, eggs, lamb, venison, turkey beef, beans and a long list of other products. Before you can begin dehydrating fruits and veggies, you should rinse them with cold water. The bruised or damaged portions and the seeds, pits, and stems should be chopped off. Most of the time, fruits and vegetables should also be pretreated via blanching or dipping. The blanching technique is used for most vegetables. The process involves briefly cooking the product using steam or boiling water to kill microorganisms and inhibit enzymatic reactions. The dipping technique is used for fruits that turn brown like apples, bananas, pears, and peaches. This process involves dipping the products in fruit juices rich in ascorbic acid. The acid will stop the oxidizing reaction of the fruit when it gets exposed to the air. Each heat source is limited to certain types of food. 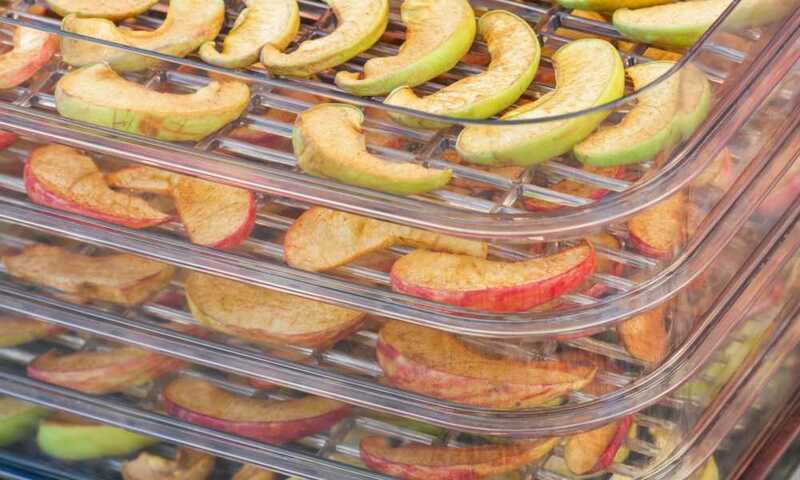 For example, sun drying method can only be used for fruits. It should only be used if the temperature reaches at least 85 degrees Fahrenheit. In addition, it should only be done in areas with low humidity levels, otherwise, the fruits will spoil. You will also need to pasteurize any item that you sun-dry to kill any microorganism that latches on to the food’s surface while it’s exposed to the surrounding. Pasteurization can be done using cold or hot temperature. To pasteurize food using cold temperature, store the dried products in the freezer at zero-degree Fahrenheit for two days straight. To pasteurize using heat, place the products on a shallow tray and spread them evenly. They should go into the oven heated at 160 degrees Fahrenheit for not more than 30 minutes. 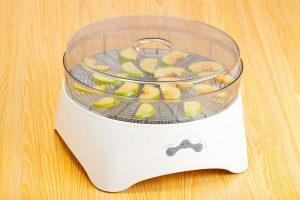 As for the oven and food dehydrator, you can use them to dry any kind of product. You should ensure that the temperature consistently measures 140 degrees Fahrenheit all throughout the drying procedure. In addition, you must spread the food evenly. 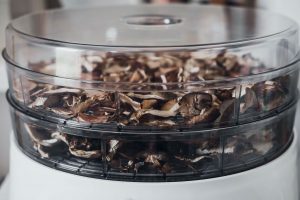 Make sure to place the dehydrator or the oven in a well-ventilated area. You can enjoy the products as is or you can reconstitute them. The dehydrated products can be reconstituted by soaking them in water. Larger items may need more time to reconstitute. 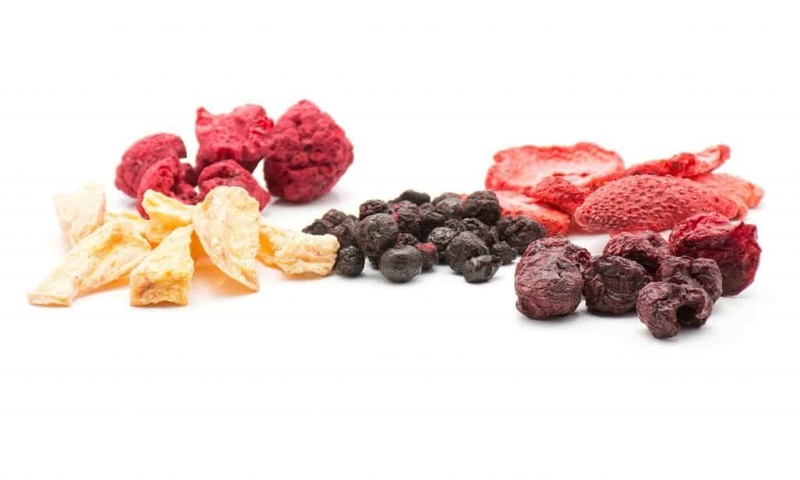 In general, dried fruits take at least eight hours to reconstitute, while dried veggies only need two hours at most. Enjoy your dehydrated food any way you want because they are good for your body!